After a depressed and slow growth in the first half of 2016, the US economy could be on its track to stabilizing and getting back to its expected growth trajectory. 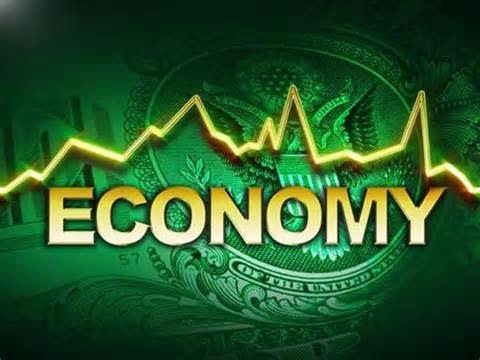 Based on economic data released this month by different government agencies, the US economy seems to be starting the second half of 2016 on an upbeat. Both producer and consumer price indices show a positive improvement as well as data on retail sales and joblessness claim. Inflation being one of the major economic indicators tracked by the Federal Reserve sustained an upward trend in the second quarter of 2016. The inflation growth however did not meet the Fed expectations but nevertheless it was an indication of a positive pattern. From the economic reports released jobless claims were at a 43-year low; having gotten to that level earlier on this year. This is a clear indication of a growing economy, with companies being able to absorb more labor force in order to increase production. With all these positive economic growth indicators, it is likely that the Federal Reserve might raise their interest rate before the year ends. Generally, consumers’ purchasing power has gone up following the stabilization of the dollar; with this increased demand driving consumer prices even higher and thus contributing to the growth in inflation. The headline Producer Price Index grew by about 50 basis points in the month of June, which was 20 basis points higher than the expected growth by 30 basis points. The core Producer Price Index on the other hand grew by 40 basis points; being the growth in the PPI that excludes volatile sectors such as food and energy. Looked at from a year-on-year perspective, the growth rates are more modest with the headline PPI growing by 0.3% while the core PPI grew by 1.3%. Economists had forecasted that the Consumer Price Index (CPI) will grow at an average rate of 0.3% in June but data from the Labor Department showed that the actual growth was by 0.2%. Despite the fact that the target growth rates were not met, the overall report shows a positive trend of growth from May 2016. The top three sectors that drove the growth in the CPI were energy, healthcare and housing. Energy prices went by 1.3% in June, adding to the 1.2% growth in prices within the same sector in May 2016. The price for medical services grew by 0.2% in June, while the price of medical commodities rose by 1.1% within the same month. In addition, housing prices increased by a modest 0.3% in June too. Headline inflation grew by 1% compared to the expected 1.1% on a year-on-year basis. However, core inflation grew by a higher rate of 2.3%. With these positive trends in the US economy inflation rates, we could be experiencing a 2% inflation rate in the US in 2017. As mentioned above, the retail sales data for the month of June 2016 was also positive and a sign of growth within the US economy. Between May and June, retail sales grew by 0.6%. On a year-on-year basis the retail sales grew by 2.7% based on the data from the Labor Department. Much of the growth was boosted by an increase in supply of building materials, although there was a general increase in sales across all the other sectors. Jobless claims reported for the month of June 2016 stood at about 254,000; which a 43-year low reached in April this year. This shows that the labor market remains stable as more jobs are being created and production is increasing hence creating the need for more jobs. At the beginning of the year, the global economy was gloomy due to falling commodity prices and the restructuring of the Chinese economy. However, it appears that the US economy among other world leading economies are shrugging off the uncertainty in the first half of the year and jolting ahead with renewed confidence into the second half of 2016. Even with the Brexit vote, the US economy seem be giving external shocks a cold shoulder and projecting itself for growth.